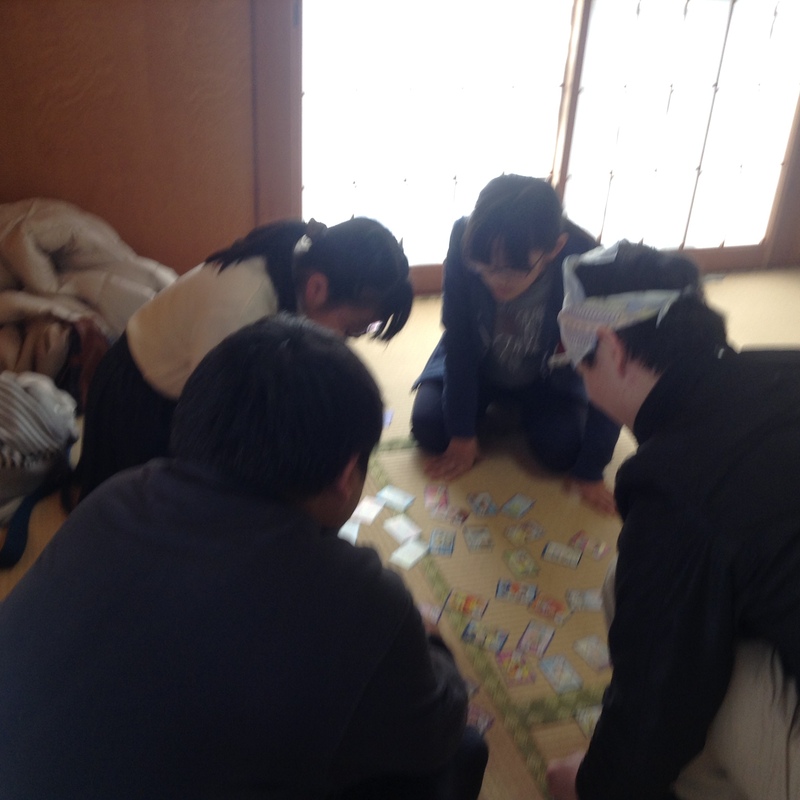 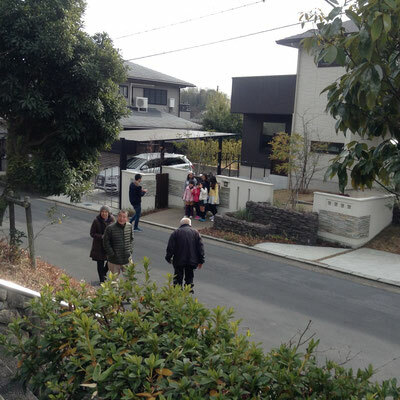 一般家庭で古典的餅つき風景を見ることは少なくなったが、自治会や子供会の行事としては今も人気があり、歳末年始の風物詩となっている。 Since early times, Mochi is the holy food for BUdda or God in Japan. 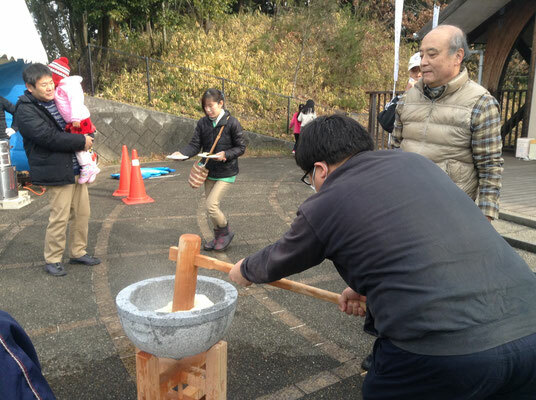 First of all, I would like to thank you to give me a chance to join the rice cake making party. 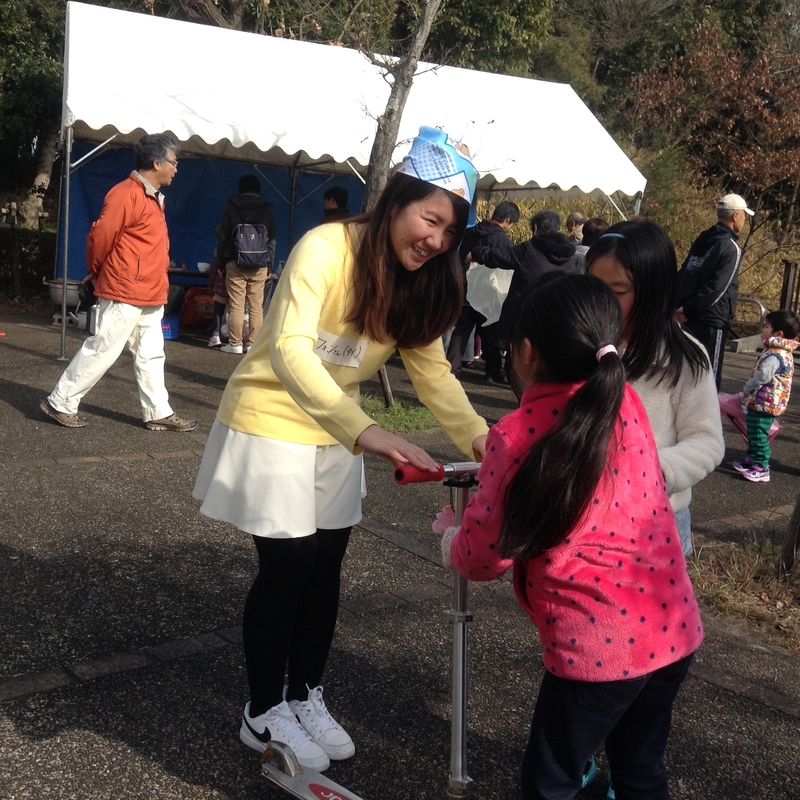 I really enjoy this event. 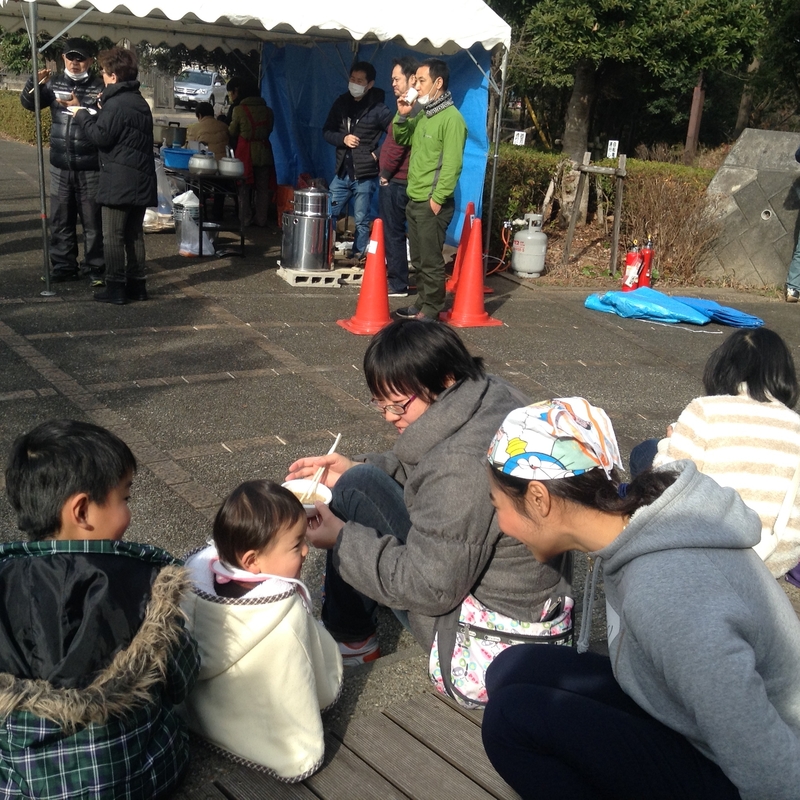 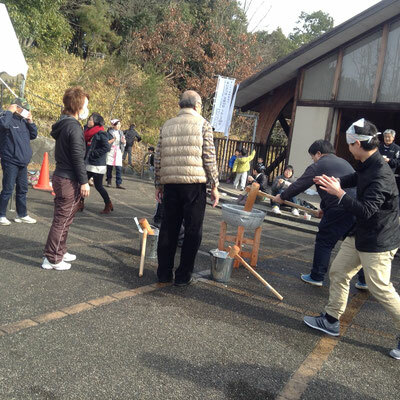 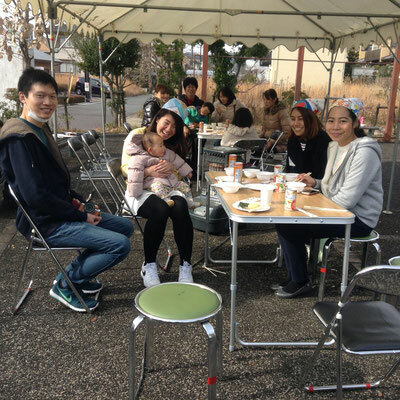 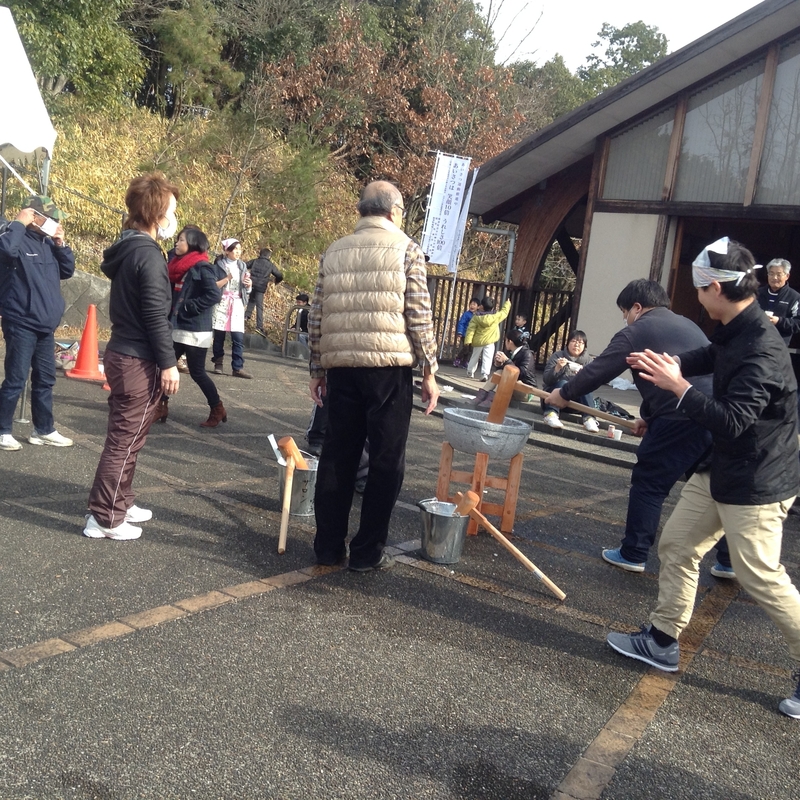 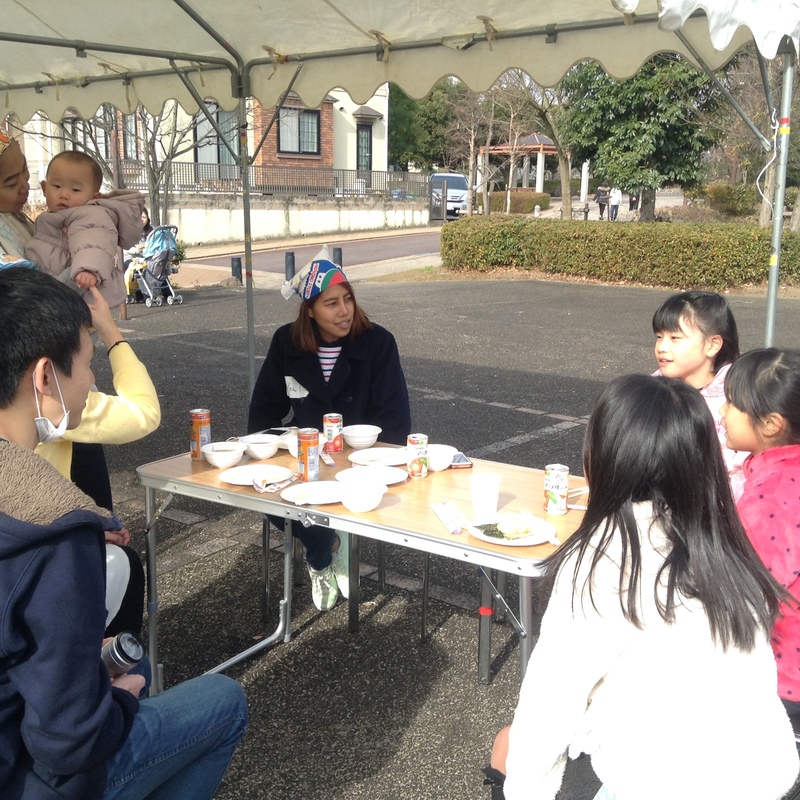 The rice cake making party was very fun and everybody was so kind and friendly. 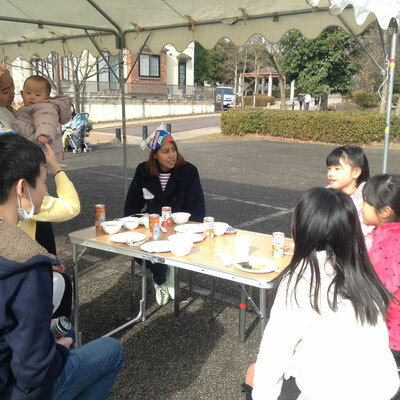 I had a chance to make rice cake which I just know how to make it and also tried the rice cake that we made and soup ほんとに美味しいです！ Moreover, I met many little girls who want to speak english and play japanese card game. 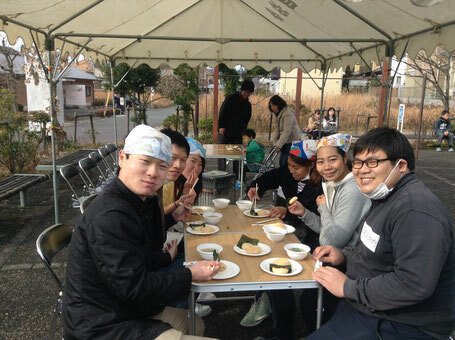 I wish I will have a chance to meet them again and maybe teach them some english. どもありがとうございます。 Thank and best regards, Nattakarn W.